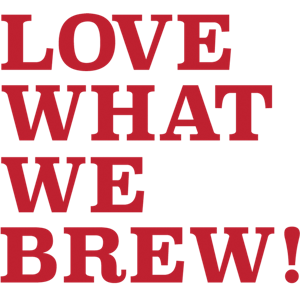 Brewing it your way – The Aeropress! Thinking of buying an Aeropress but you’re not sure how it really works? Matt, our friend and an expert barista is sharing his tips on how to brew great coffee in this little powerful maker. Brew your perfect cup of coffee. Brewing your own coffee is a wonderful way to get a real understanding of how different factors affect the strength and flavor of the drink in your cup. The water quantity and quality, the coffee (preferably freshly ground) and the tools you employ will all play a major role in the liquid gold that washes over your palette. Most importantly, you’ll need an experimental attitude to achieve coffee greatness! We’ve compiled a set of guidelines to help you get started down this road. Use these tips as a launching pad, but feel free to explore and adjust these recipes to satisfy your own taste buds. Invented in 2005 by Alan Adler, the Aeropress is considered by many (me included) to be the finest of the small-batch home brewers. It is incredibly fast, easy to clean, and portable. It may not be the prettiest appliance in your kitchen, but that doesn’t mean it isn’t a thing of beauty. It delivers tons of body and sweetness to your coffee cup and its ease of use is unrivaled! Before you know it, you’ll be sipping down an AWESOME cup of joy! Today you will learn the “inverted method”. This will allow you to have complete control over the entire brewing cycle, because you decide when the extraction bit begins. It also means that you’ll need to be a bit careful when turning your brewer unit right-side up just before extracting. Begin by bringing your water to the boil. “A watched pot never boils”, right! So instead of waiting…let’s move to the next step. Pick a coffee you’re familiar with. It will give you the best idea of what influences each brewing method has over the final taste! We like our Signature Series range of small batch high grade coffees such as the Single Origin Ethiopia Limu! But all Jones Brothers Coffees will work just fine. Start with 17g or so of ground coffee (approx. 2.5 tablespoons if your using a pre-ground coffee). I won’t suggest a grind size or setting for the AeroPress, but here’s a general rule for all coffee: the finer the grind the quicker it will brew. While brewing, adjust the coffee’s time in contact with water in accordance to that rule. 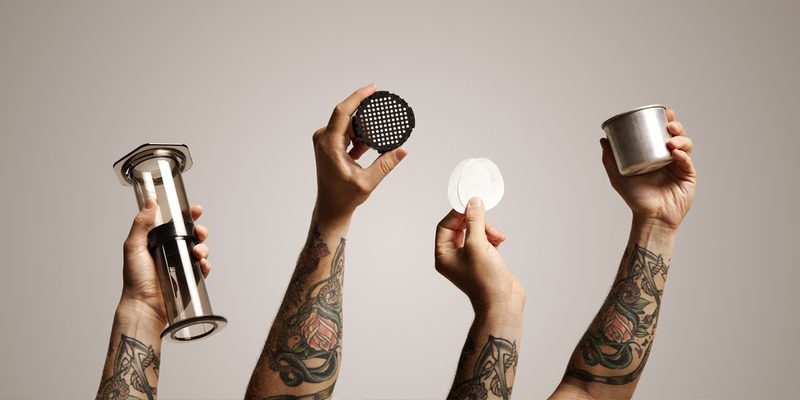 Now that your water is hot, you can prepare your brewer unit – The AeroPress. Add water to the empty brewer to warm it up. Wet the filter paper with hot water to cleanse it of its papery taste. Once your AeroPress is warm, you can then dump the water out. Transfer the ground coffee into the empty AeroPress. Start your timer and add enough water soak all your coffee without filling up the brewer and give it a slight swirl with the paddle just to be certain that all your grinds are saturated. Wait for your coffee to de-gas – or “bloom” as we coffee lovers have so beautifully coined the term. After the grounds stop their bubbling, note the time by referring to your timer and then use the paddle again and agitate the mixture enough so that the grounds are resubmerged with the water. Add a second wave of hot water to the AeroPress and fill it just under the top. Place the cap with its filter to the top of the brewer and fasten it. Now, a reminder of the rule I mentioned earlier:the finer the grind the quicker it will brew. Depending on your grind size you will now either wait for a bit, or you’ll begin your extraction. When you DO decide to start your extraction, note the time. Take your mug and place it upside down on top of your (currently upside down) AeroPress. (weird, yeah!) Carefully and simultaneously turn over the brewer and Mug to the right way up. Give the AeroPress a swirl and check that no grounds are sticking to the rubber plunger. Press down and apply constant pressure to the plunger and attempt to extract from the brewer all the liquid, over the course of approx. 30 seconds. Stop applying pressure once you hear a slight hissing sound coming from your AeroPress and THEN note the time. Empty the AeroPress by removing the cap and throwing the wet grounds into the compost (it’s good for your garden!) Rinse it under the tap and it’s ready for its next use. 7. The Crowd Goes Wild!! Congratulations! You’ve just made an excellent cup of coffee! Enjoy it with a smile! Be Bold (try our Big Shot beans), adjust your recipe and play with different variables and methods. The time notes you made while creating your brew will act as good reference point as you perfect your favourite recipe for your drink. Only YOU know what YOU like, but now you have a guide to help you find your way there! ENJOY!